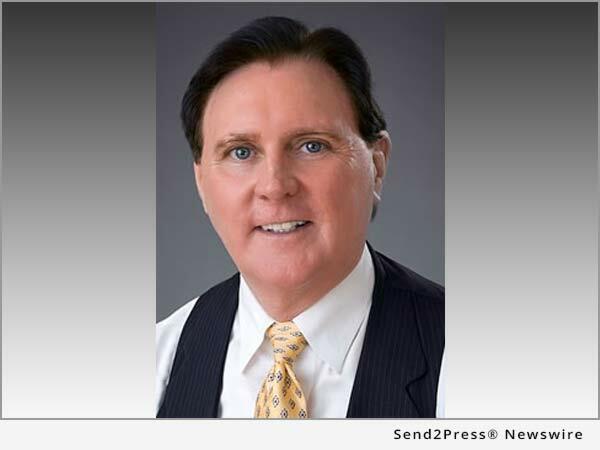 BRADENTON, Fla., Oct. 13, 2017 (SEND2PRESS NEWSWIRE) — Aggressive legal action by states to curb national opioid addiction crisis draws comments from southwest Florida civil trial lawyer Bernard Walsh. In response to growing political pressure to stop the opioid addiction crisis, many State and municipal governments are filing lawsuits against a range of drug manufacturers. As many areas of the United States are faced with a deepening opioid addiction crisis, state and local governments are responding by targeting the opioid manufacturers and distributors citing their aggressive marketing and sales tactics. Opioids are a class of drug often prescribed as a pain-killer for patients who suffer from chronic pain. However, opioids are very powerful drugs that in addition to being highly effective at dulling pain, also induce a feeling of euphoria and are extremely habit forming. Opioids can be made either from their natural source the opium poppy, or as is most common in modern medicine, from synthetic sources as a product of drug engineering. However whether the drug is from opium poppies such as morphine, a synthetic engineered drug such as Fentanyl, or a semi-synthetic drug such as Oxycodone, they all are highly addictive and should only be used when absolutely necessary. In addition to the fact that opioids are potentially highly addictive drugs, there are more than 60 different opioid or opioid derived drugs available to physicians. Many patients may be completely unaware that the drug they have been prescribed is in fact a dangerously addictive opioid. As a result, physicians – often motived by highly aggressive incentive marketing plans by drug manufacturers and distributors, have been prescribing these drugs in larger amounts and at much higher rates. With legitimate patients becoming addicted and often turning to illegitimate sources to feed their habit, opioid overdoses have skyrocketed. For example, in the first three months of this year in Maryland alone, there have been 550 overdose deaths. So far six states, including Alaska, Arizona, Florida, Maryland, Massachusetts and Virginia, have declared emergencies to access more resources to fight the additional crisis. More states such as New Jersey, Washington, and South Carolina have begun to take action with lawsuits against drug makers. The legal actions are not limited to States, cities have also begun to file suit against drug manufacturers. According to The Indianapolis Business Journal, Indianapolis will be suing several drug manufacturers, including Purdue Pharma, Endo and Teva, as well as naming opioid distributors Cardinal Health, McKesson Corporation and AmerisourceBergen as likely defendants in the lawsuit. Counties have also taken up the effort such as Pennsylvania’s Lackawanna County which announced a lawsuit against opioid painkiller maker Allergan. Many of the lawsuits claim that both makers and distributors of opioids ‘unfairly and deceptively’ marketed opioids helping fuel the opioid crisis. The additional crisis and growing legal response have not gone unnoticed by many in the legal community. Personal Injury Attorney Bernard F. Walsh of the Bradenton Florida office of Shapiro Goldman Babboni Fernandez & Walsh offered this comment on the crisis, “For far too long, we have allowed the financial interests of drug makers and physicians to influence the prescription of opioids. Florida has been hit very hard with many people hopelessly addicted to drugs like Oxycodone and Fentanyl. Bernard Walsh is an active member in multiple legal organizations including the National Trial Lawyers Top 100 Trial Lawyers, the Multi-Million Dollar Advocates Forum, member of the Florida Justice Association Board of Governors, and the National Association of Distinguished Counsel. A partner at the Personal Injury law firm of Shapiro, Goldman, Babboni, Fernandez and Walsh; Bernard Walsh has won one of Florida’s largest motorcycle accident recoveries and has an AV Preeminent® rating on Martindale-Hubbell®, and is a Superb rated attorney with Avvo.com. "While there is a legitimate need for these drugs in some cases of chronic pain, doctors motivated by lucrative sales incentives and aggressive marketing tactics have been prescribing these drugs far too often and in amounts that almost guarantee addiction," says Walsh.